The bathroom is often the one area of a house that is used by family, guests, and potential buyers. When considering the costs and benefits of home renovation, the bathroom is a good place to start. A well executed bathroom renovation can immediately increase the value of your home. If you're smart about making changes in strategic areas, you can achieve a big return on your investment. The fixtures can make a big difference in the overall look of your bathroom. Stainless steel has become a hot trend in bathroom décor in recent years. Because of its aesthetic appeal and durability, stainless steel can fit homes of any size or style. 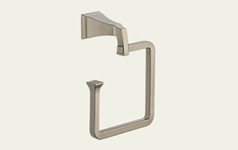 Stainless steel bathroom fixtures have many surprising benefits in looks and functionality. 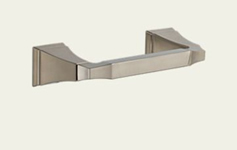 Seamlessly welded of heavy gauge metal, stainless steel fixtures are durable and chip and heat resistant. Stainless steel is simple to care for and does not tarnish. Conveniently, stainless steel also does not require any special cleaning products. The most obvious benefit is the sleek, contemporary look. 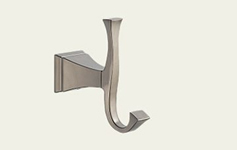 Stainless steel fixtures can add character to any style of décor. Though there are many benefits associated with stainless steel fixtures, there are some negatives aspects to consider. 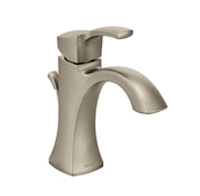 Don't let the potential smudging, noise, or cost deter you from using stainless steel fixtures. Stainless steel will show smudges and scratches from daily use. Brushed facades hide scratches and smudges without extra effort. Shined stainless steel will accumulate scratches and develop a "natural patina" over time. This patina only enhances the character of the steel. Many homeowners don't consider the noise associated with stainless steel sinks and tubs. Higher quality metal compositions, consisting of 18% added chrome and 8-10% nickel, will offer some reduction in noise. Sinks and tubs of a thicker gauge, in the 18-20% range, can easily be lined or insulated to reduce sound. Most importantly, stainless steel is less expensive than stone, cast iron, and other higher quality materials. In terms of durability, stainless steel will give you a lot of bang for your buck. When selecting decor, it's natural to feel that all fixtures in a room must match. This is not the case with stainless steel. To avoid a cold, sterile look, mix stainless steel with other materials. Rather than replacing every fixture with stainless steel, choose a few fixtures for maximum impact. 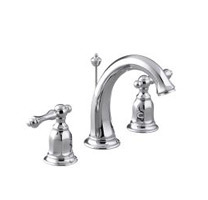 Stainless steel faucets, showerheads, and sinks can add a touch of elegance to a bathroom. Adding a few smaller fixtures, such as stainless steel towel bars and doorknobs can go a long way in creating the desired effect. Before beginning your bathroom renovation, consult an experienced contractor for assistance in designing your bathroom. As proper installation is crucial in any project, consider hiring a certified plumber for the more technical aspects of the renovation. As with any home improvement project, a bathroom remodel can seem overwhelming because of the seemingly endless number of options available. With careful planning and a little imagination, you will find the perfect stainless steel fixtures for your bathroom. 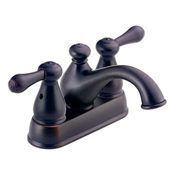 Coordinate Your Bathroom With These Favorite Items of Shop The Full Line of Bathroom Accessories at Low Prices!